Ripping out your existing open plan office layout and creating a new activity based workplace may be surprisingly easier than you imagined. Our useful tips provide a few pointers to help you build a contemporary activity based workplace layout that will empower workers and increase employee happiness at work. The days of open plan office layouts, with rows and rows of cubicles and desks where employees remain seated in the same location throughout the entire day are long gone. Activity based workplace designs are far more commonplace in the contemporary office sector now, and surprisingly easy to design yourself. Two major benefits of activity based layouts for offices are that they increase employee feelings of well-being and empowerment. These both add to heightened productivity and happiness at work. What’s more, though, activity based layouts can actually cut the square footage required for offices. This is due to the fact that employees make decisions on when and where they work throughout the day, depending upon the type of tasks they need to do. It’s easily possible to use the increased space created by your new activity based layout to add in relaxing yoga rooms or separate meeting/collaboration spaces. So, what does this involve? 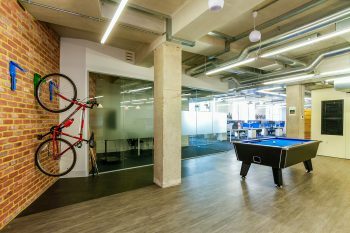 Basically, creating an activity based workplace design means initially taking a step back to carefully consider all the demands of a typical working day for employees in your open-plan office. This makes it easier to create zones that are the right size for all work activities. For example, if your employees need to spend more time working solo in quiet zones, you might consider setting up individual pods for tasks. Where employees need to work in a more collaborative fashion on a regular basis, laying out comfortable seating and traditional work desk/table layouts could encourage more collaboration. However, your own office may have additional daily work routine needs that also need fitting into any design layout. One of the most common layouts for activity based working entails the creation of a central hub for socialising and revitalisation. This is used for eating and relaxation, so may well also include coffee shop or drinks dispensing facilities. 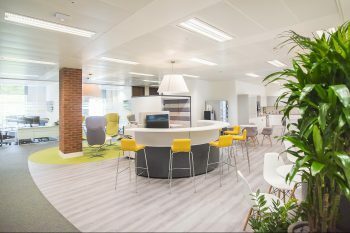 Easy access to this area means employees can be encouraged to drop the bad habit of eating at desks and encouraged to socialise with colleagues. The zones surrounding a central relaxation area can be set out any way you choose. If your workers need to engage in outbound or incoming calls for a large portion of the day, you may want to install phone booths for efficiency. Where team working is required on a regular basis, zones for collaboration and meeting spaces can easily be combined into the layout. Appropriate use of colour and texture for flooring is one simple solution for marking out different zones. The new Antron Play range features a funky and bright selection of durable commercial carpeting that’s absolutely ideal for enhancing mood and productivity in the workplace. 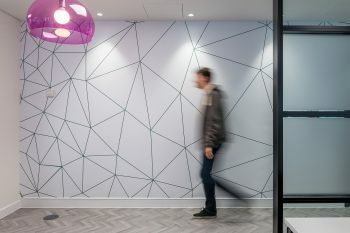 Using different colours for all your separate zones helps create a colourful, playful office that can really lift mood and increase feelings of well-being, in workers and visitors. A little research into colour psychology and the effects of colour in the office can help you make decisions on the most appropriate colours for different zones in the workplace. 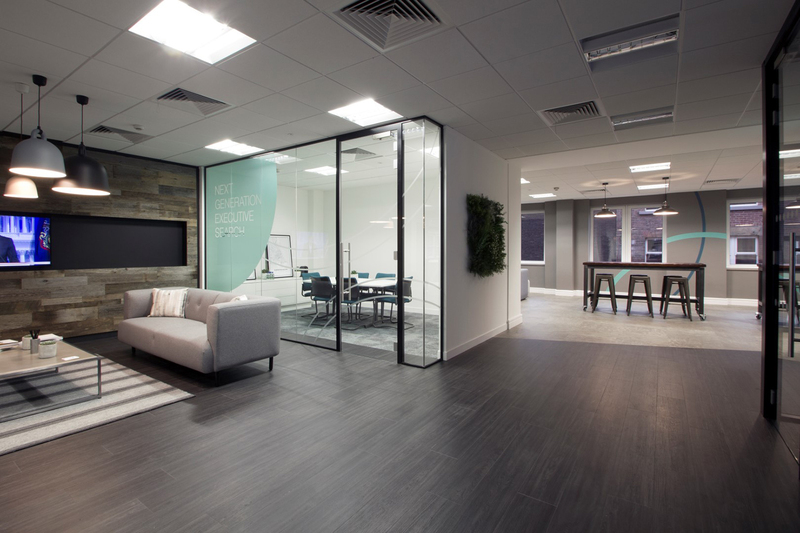 Check out the entire range of contemporary and hard wearing commercial flooring available at Duraflor for more ideas on ways to zone your new activity based workplace.